An Enterprise Resource Planning or ERP Software system virtually assists any type of industry because efficiency, workflow speed and overall productivity are important in every company, no matter what their line of business is. The healthcare sector is no exception, and ERP software in healthcare grows rapidly today. This software helps reduce labor and inventory costs, have better communication and information flow, and improve efficiency in the hospital and in an organization’s operations. It’s a software technology that has a series of modules which links information from various sources into just one program. It facilitates communication between departments in an organization or a company to increase productivity and efficiency, by enabling employees to work better. This software also assists professionals in the healthcare industry make their medical practices more effective, take care of their patients better, and make their lives easier. In the past, patient and company information was written down and stored in filing cabinets. But today, where technology’s pace is so fast, data can be stored electronically, which proffers a big advantage to the healthcare sector because document retrieval becomes easier and more convenient. The safety of patients is very important, and healthcare providers should enhance their protocols about safety. ERP can assist in this aspect by making the communication more transparent between patients and clinicians. This software also helps the management reduce the hospital’s operational costs. The management can reduce the incurred costs caused by inventory and administrative errors since ERP can monitor finances and inventory levels precisely. As a part of information technology automation software, processes will become more efficient. The software also optimizes different operations at the back-end, such as accounts, payroll, and inventory management. Any healthcare industry has only one goal, and it is to provide the best patient care possible. ERP gives access to crucial reports and databases to patients and helps them make prompt decisions about their treatment. It makes medical procedures and subsequent test plans easier and improves healthcare facilities to meet patients’ requests and feedback related to the hospital’s environment. The healthcare sector should be updated to the latest technology, especially the trends around treatments, diagnosis, and prevention of illnesses. They also have to constantly adapt to new changes because these latest technological advancements will make the industry stronger and more competitive. 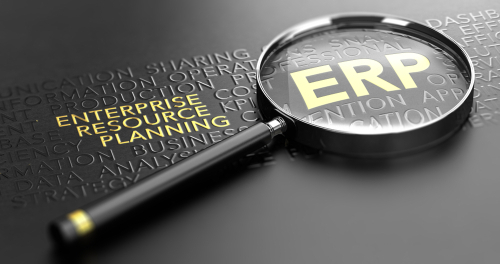 ERP software is important, especially when taking care of healthcare practices and running a business. Since the healthcare sector is always in demand as a business, proper attention is needed in order to make it run effectively 24 hours a day. It helps the industry in many ways, such as keeping up with the latest trends, efficiently manage policies and procedures with regard to claims, enrollment, provider’s networks, and member benefits. ERP makes sure that both patients and healthcare providers have a fair share of benefits, especially when it comes to payments. It helps the institution remain profitable, and provide affordable but the best quality of patient care to people. It’s also a tool to help managers plan strategically because ERP can spot the areas where improvements are needed and necessary. As a result, it can enhance the overall effectiveness and efficiency of the organization, especially when it comes to time management. Once the problems have been detected, it’s easier to monitor whether the changes that will be made will be effective or not. 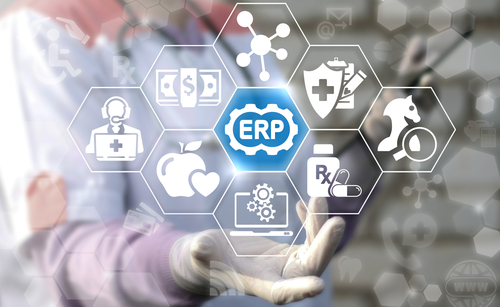 When ERP software is implemented in healthcare, patients, healthcare providers, and insurance providers can keep all the information needed on just one platform. Easy access and convenience can be two of the greatest advantages when this software is applied to healthcare. Patient safety and care will be more effective because of this innovative solution, which can lead to better healthcare practices and services, and a more synchronized organization. Microsoft Launches Sales Navigator Enterprise Edition: The Salesforce Destroyer Cometh?